Early 70’s, year 1971, Abdulkadir Al-Muhaidib & Sons commenced trading of Building Materials by launching its first outlet in Dammam which specialized in selling steel & wooden products. Progressively the company decided to magnify the business and expand to other major cities ie: Jeddah & Riyadh. Expansion led to diversification and the company undertook retail/wholesale sales of Door Handles, accessories & carpentry materials. The expansion drive continued during the 80’s / 90’s and outlets/stores were established in many cities within the Kingdom of Saudi Arabia. Parallel to geographically expanding business, several new entities were set up and numerous acquisitions were accomplished. The aspiration to becoming a leading Building Materials company was well and truly on course. 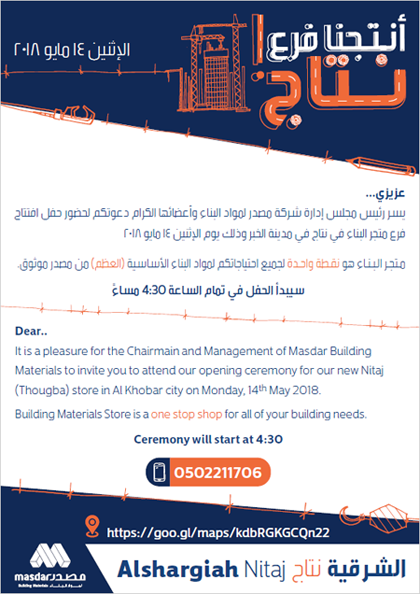 Year 2006, was when the owners and management decided to transform the company to become a Limited Liability company (LLC) under the name of Al-Muhaidib Building Materials Company. Headquartered in Jeddah, the company basically featured to handle their key business of Steel & Wooden products with precision & accuracy. In line to the ever changing business world, Al-Muhaidib went a step further and decided to club its companies in order to strengthen their presence within KSA and around the Globe. It was categorically concluded that all the Building materials company namely Al-Muhaidib Building Materials, Al-Muhaidib Technical Supplies, International Timber Company will be merged to form a single entity. In 2014, the Ministerial decision no. (72/ق) dated 29/03/1435 corresponding to 30/01/2014 was issued approving the conversion of Al-Muhaidib Building Materials company’s legal entity from being a limited liability company to a Closed Joint Stock Company (CJSC). 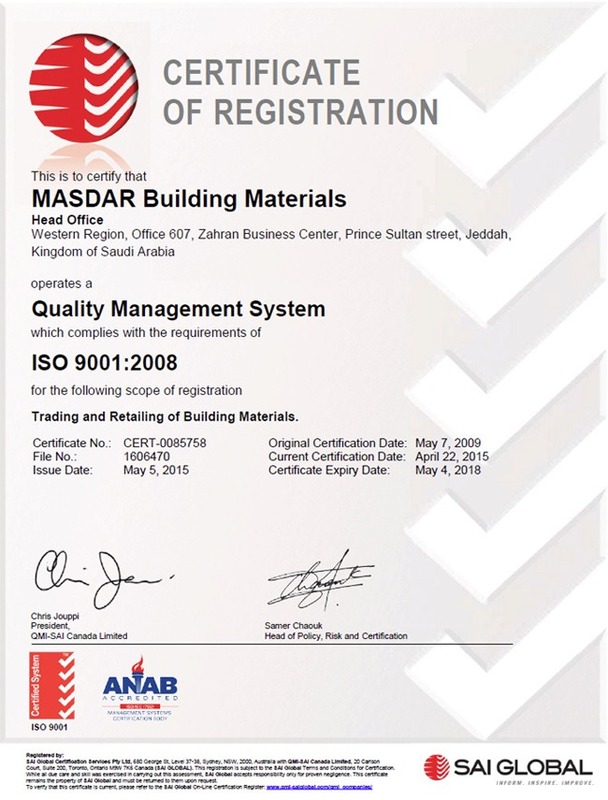 Masdar Building Materials was thus incorporated with a capital of SAR 340 Million (SAR Three Hundred Forty Million). On April 6, 2014 the company’s general assembly approved a further capital increase from SAR 340 Million to SAR 400 Million. 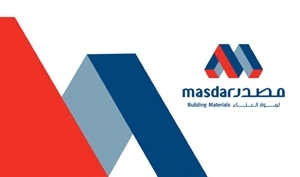 Masdar’s main activities revolved around selling all kinds of building materials explicitly concrete steel, commercial steel, timber & timber products, insulation materials. Masdar’s affiliates are also involved in trading stabilizers, fittings, doors accessories, and tools such as door handles, door hinges, and other consumable products such as glue, paints, locks, screws, tools & gadgets. During the past three years, the articles that Masdar & its affiliates have dealt in has increased from 88,000 to 105,000. All these articles are channeled through Masdar’s 186 branches scattered all over the Kingdom.